Goodreads Summary: Hours after her brother’s military funeral, Honor opens the last letter Finn ever sent. In her grief, she interprets his note as a final request and spontaneously decides to go to California to fulfill it. Sometimes you have the serendipitous event of picking a book that really speaks to your current emotions or place in life. In Honor was one of those books for me. I haven't read Jessi Kirby's first book, Moonglass, but after reading In Honor I definitely will be soon. Honor's life was turned upside down after she received news that her brother was killed in combat. After his funeral, she finds a final letter from him. In the letter is a final request, and so Honor begins a road trip to fulfill it. Leaving no word for her aunt or best friend, Honor begins her journey with one unwanted companion - Rusty, her brother's former best friend. Honor and Rusty have little to say to each other, but it seems obvious that they will both be making the trek to California. Despite their clear disdain for each other, spending so much time together in a car has a way of bringing old feelings and secrets to light. 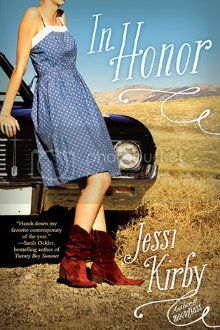 Honor comes to learn that there was more to Rusty - and to her brother - than she ever knew. But how will the new knowledge change her life? Many books have been written about road trips or emotional journeys paralleling physical ones, and because of the myriad of stories they can sometimes become cliche or trite. However, In Honor was anything but that. The writing was absolutely beautiful. The entire story felt quite real - although there were a few unlikely coincidences, there were also disappointments, and not everything worked out perfectly. I especially enjoyed the memories that were woven throughout the story; they were poignant and emotional and added a lot to the book. In addition, some of my favorite scenes that I've read are now from this book. From early morning scuba diving to watching the sunrise from a mountain, there are scenes from this book that I would love to have paintings of to hang in my house. The descriptions as well as the story accompanying them are incredibly vivid and memorable. Into such a wonderful setting are dropped the characters Honor and Rusty. Honor was very relatable. Even though I didn't agree with everything she did, I could feel her emotions and understand her reasons. Then there was Rusty. He was a hard character to get to know, but he had definitely gotten to me by the end of the book. Speaking of the end, there were secrets revealed that I certainly didn't expect. All I will say is that this book is definitely an emotional read but one that is certainly worthwhile. 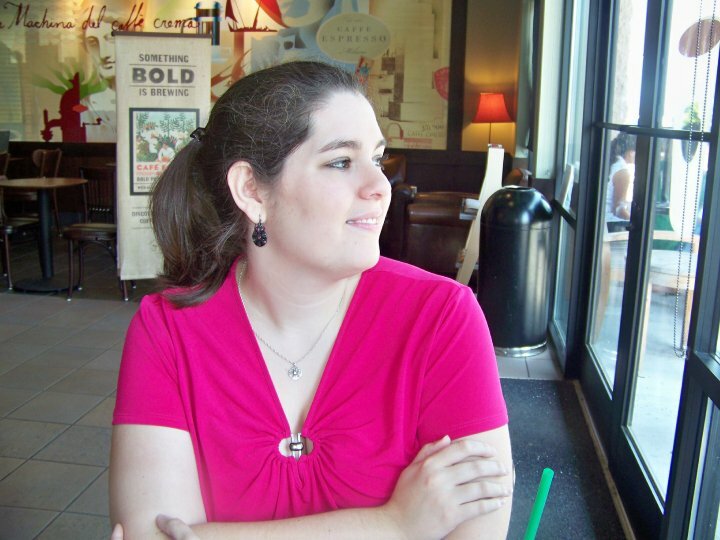 Jessi Kirby has crafted a very powerful, thought-provoking story in this book, exploring a variety of emotions within an engrossing narrative. I cannot wait to see what she writes next! I love Jessi Kirby! I really need to get myself a copy of this one soon. You and I tend to enjoy the same books so if you love it - I have faith that I will too. I'm really looking forward to reading this. I love road trip books, especially as you said, when they parallel a personal metaphorical journey. LOVED Amy & Roger's Epic Detour. Great review!